Mules, of the Moscow variety, have quickly become one of my favorite drinks. I love the combination of ginger and lime, taking away from the bite of the vodka and simply leaving a refreshing taste behind. The drink was actually created in 1941, but only recently has it become super popular in the bar scene. Perhaps it’s the adorable copper mug that the drink is classically served in. Even with the spice of the ginger beer, these drinks go down way too smoothly. When you’re trying to lose weight, alcohol can really affect your ability to do so. Since I’ve made great progress, but still haven’t reached my goal weight, I have been looking for drinks I can consume that don’t offer a lot of calories and sweeteners, but still have a great taste to them. I saw online that you could swap out ginger beer with kombucha and knew I needed to try it out right away. If you haven’t heard of kombucha, it’s become one of the latest dietary trends. Supposedly known to help with digestion, weight loss and detoxification, this fermented tea has become super popular and is now available in a ton of flavors. I’ll be honest I was very skeptical of it at first, but have really come to enjoy the bubbly brew. A change up to the Moscow Mule, being made with Kombucha. 1. Stir together ginger kombucha, frozen lemonade concentrate, vodka and coconut rum. 2. Pour over ice into copper mug and garnish with a lime wedge. 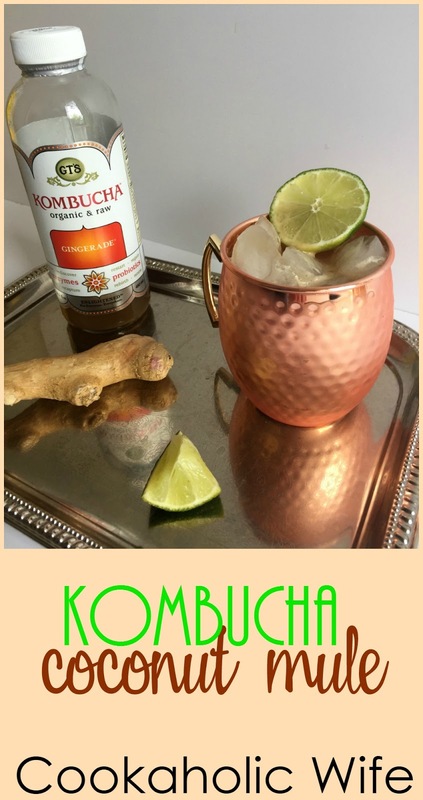 As part of #RecipeMakeover, I adapted this recipe by using kombucha, coconut rum and lemonade concentrate. 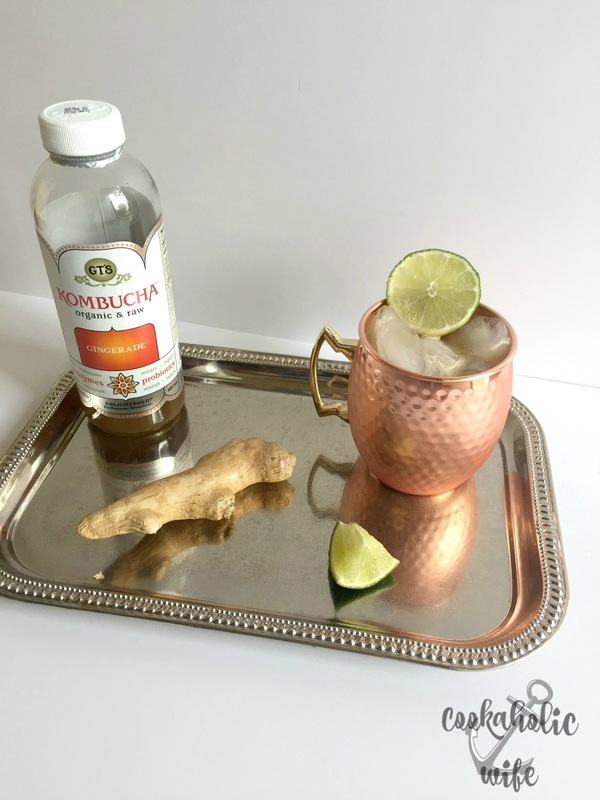 While the ingredients would make a Moscow Mule purist sneer with disgust, the flavors really mix well together and adds just a bit of a tropical flair to an otherwise spicy drink. In case you missed Monday’s post, #RecipeMakeover is a blogging event I’m participating in with 40+ other bloggers where we do just as the hashtag says, and make over recipes to healthier alternatives. Check out the post here so you can also enter in the awesome giveaway! I just received two bottles of kombucha as a gift. I haven't opened them yet but you have convinced me to give them a try.